I used to have a ton of CDs. I spent a fortune back over ten years ago collecting them. Now they are all sitting in boxes in my garage. Literally. I almost NEVER use CDs anymore. I don’t even own a CD player. My MacBook Pro doesn’t have a DVD/CD Drive; only my aging PC can play CDs in my house. 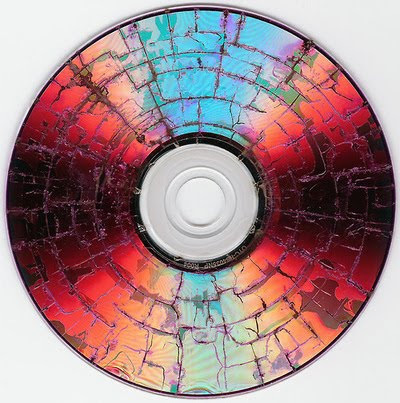 The days of the CD are almost over. I purchase all my music digitally. However, there will be times when you need to rip* a CD to get it on your iDevices. Yes, the traditional way would be to use iTunes and attach your iPad/iPhone to your computer. But what if you’re in a hurry, perhaps at work, without your own computer, and you really would like a digital copy without the hassle of iTunes? 3. Ensure it is set to MP3. 5. While it is ripping, open your browser to the online version of your Dropbox/Box/Skydrive. Since all three of these services have very capable iOS apps, you will be able to listen to the music almost immediately. Use Google Chrome if possible. If not, IE or Safari will do. 6. After it rips, upload the entire folder to your Dropbox/Box/Skydrive account (Make sure you create a new folder there). Why I prefer Google Chrome is because you can copy and drag the folders entire contents onto it. On IE, you will have to highlight the files and press “Enter”. That’s it! Since the CD I ripped was an obscure one, the tracks weren’t labelled. You can go back and rename/label them if you want on the PC. Most popular CDs will already have tracks that are labelled automatically. Remember that you can “Favorite” files for offline use. Once it is downloaded on your device, you will no longer require an internet/data connection to play it. I was able to listen effortlessly to the tracks that I need to practice. Above: My offline files “Favorites”: I can listen to/view these files without an internet connection. Please let me know if this works out for you! Follow me on Twitter, or subscribe to this site below. 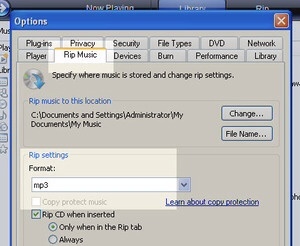 *Definition: Rip = the process of importing songs from a CD to a digital format (mp3). *Note: I used a PC because that’s all we have at school. If you need help ripping a CD on a Mac, check out this post. Also note that your files that you import using this method will not be available in your Music app, but rather only within the Dropbox, Box and Skydrive apps themselves. Thank you – it worked! No prob! Glad I could help! Whats up very nice blog!! Man .. Beautiful .. Amazing .. I’ll bookmark your website and take the feeds additionally? within the post, we want work out extra strategies in this regard, thank you for sharing. So you’re using the “drop box” app to store the “favorite” (and downloaded) files? and when you open the file once it’s saved as a favorite it’s playable… I can’t put drop box on the ipad, and it doesn’t seem to save locally when using Google Drive (without the app). Not working for me. Why cant you download the dropbox app? Many thanks Steve ,great blog worked first time,I hope to upload all my cd’s and they are many,many more, got a new car no CD player ,just a USB port, have iPad & iPhone just need the time, with good lady Heather and two boys both at high school and right into football ,never get a minute this tech stuff leaves me well behind but will keep at it. .? Who knows. Might even learn a thing or two ,with help from guy’s like you cheers mate. This is great! Thanks for sharing it – I REALLY didn’t want to install iTunes on my laptop. Awesome! Thanks for the comment!